This is a very unusual item and even more remarkable that it is in very good condition and with its original plastic covering. 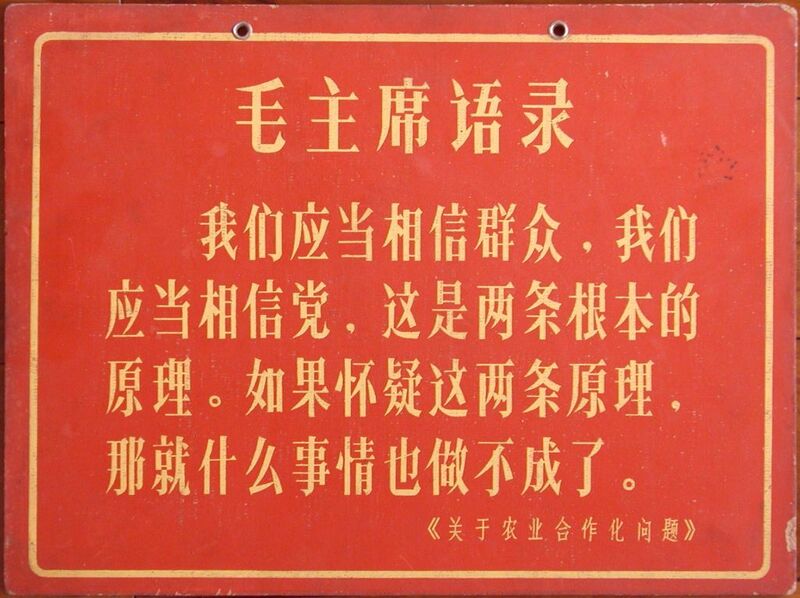 From the lips of Chairman Mao to the wooden sign here! It is a most unusual and wonderful piece! 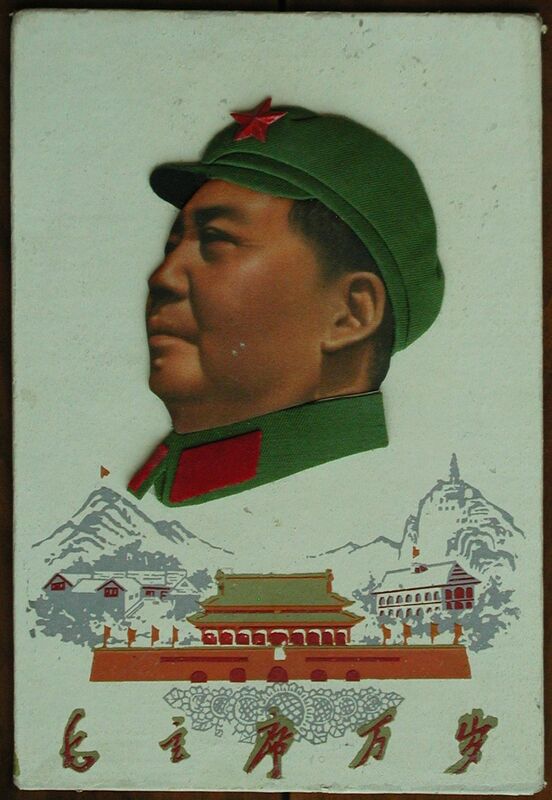 This is a stunning piece of propaganda from the Cultural Revolution that would have been hung in a public place to remind the population of Chairman Mao's presence. The vibrant red stands out and the image of Chairman is one of his most famous poses. Simply a fantastic piece of history. 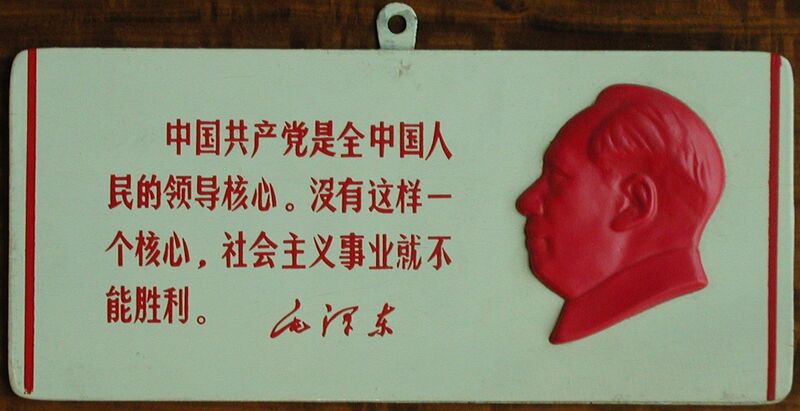 The image of Chairman Mao Tse-Tung on this great enamel plaque is classic. The 3-D effect is enhanced dramatically due to the dome shape and makes it a small, but impressive piece. 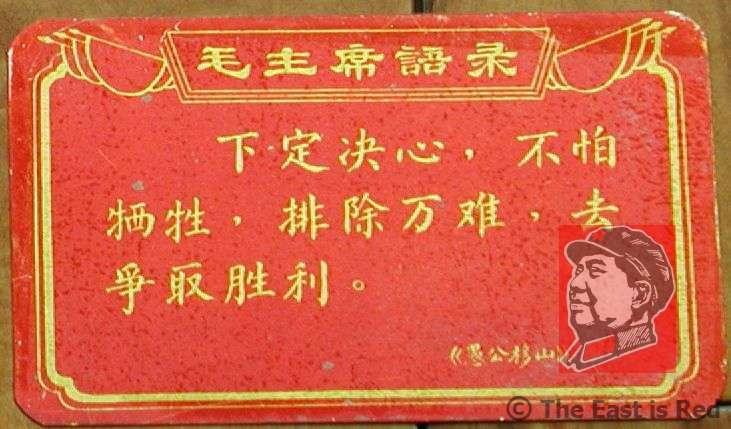 The image of Chairman Mao Tse-Tung on this great enamel sign is classic, however despite appearances, this is a present day creation. It looks great and has been well made with a layer effect of yellow enamel under the red overcoat. The Chinese character under his portait means Loyalty. 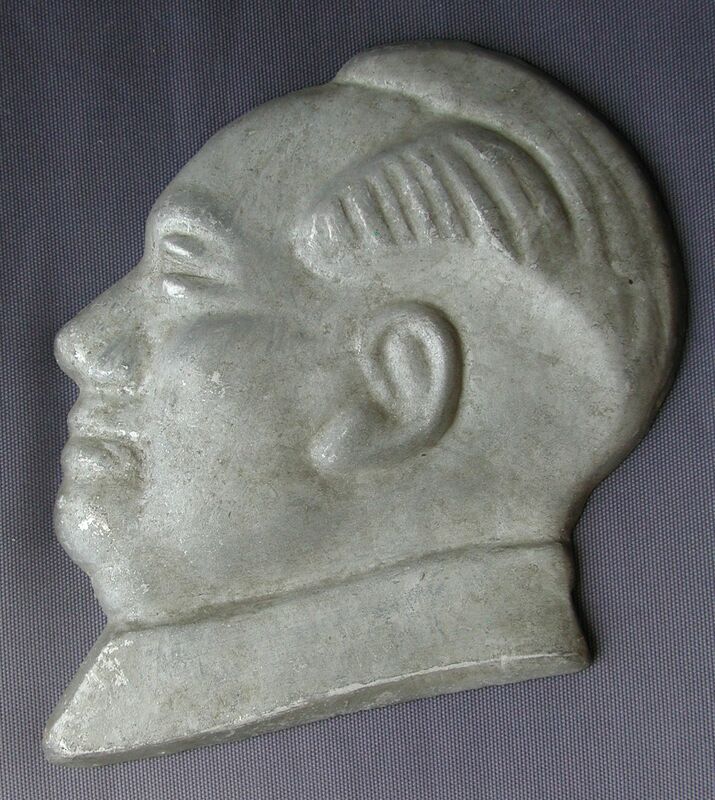 This is a large cast aluminum image of Chairman Mao Tse-Tung that has great detail and relief. From the lips of Chairman Mao to the metal sign here! 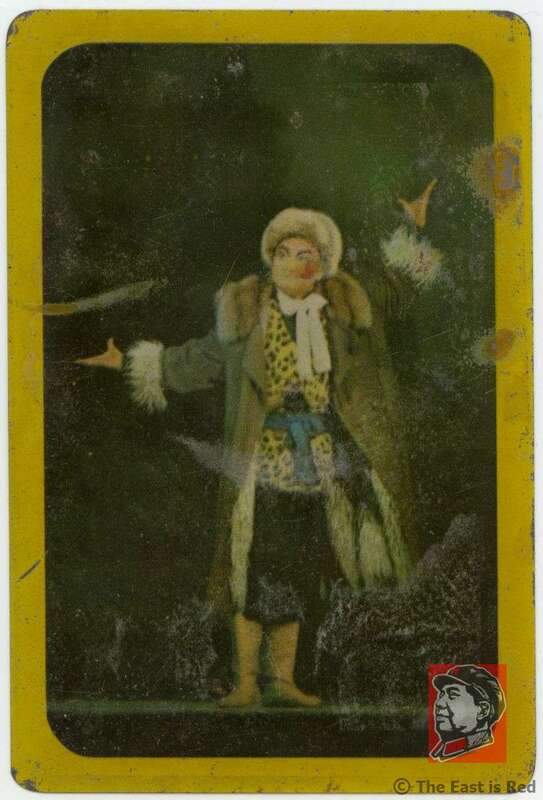 It is a most unusual and wonderful piece! 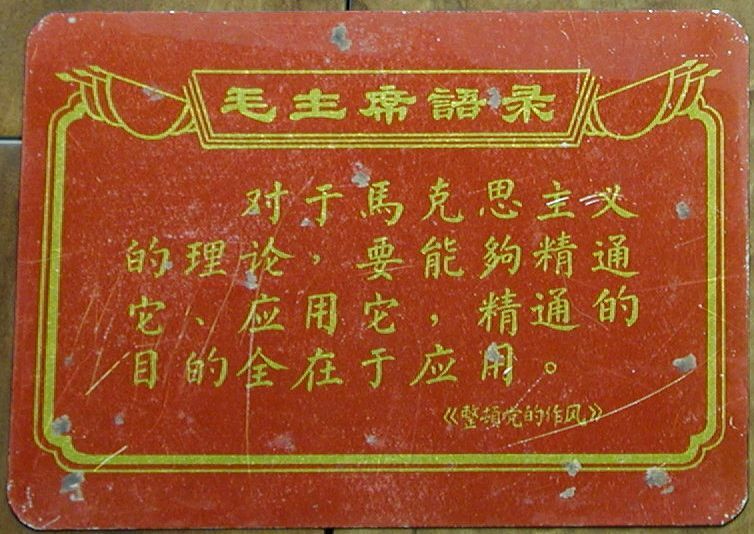 The quotation from Mao Tse-Tung reads, "Be resolute, fear no sacrifice and surmount every difficulty to win victory"
From the lips of Chairman Mao to the metal sign here - a steel sheet metal plate with red and yellow printing. The quotation from Mao Tse-Tung reads, "It is necessary to master Marxist theory and apply it, master it for the sole purpose of applying it.". 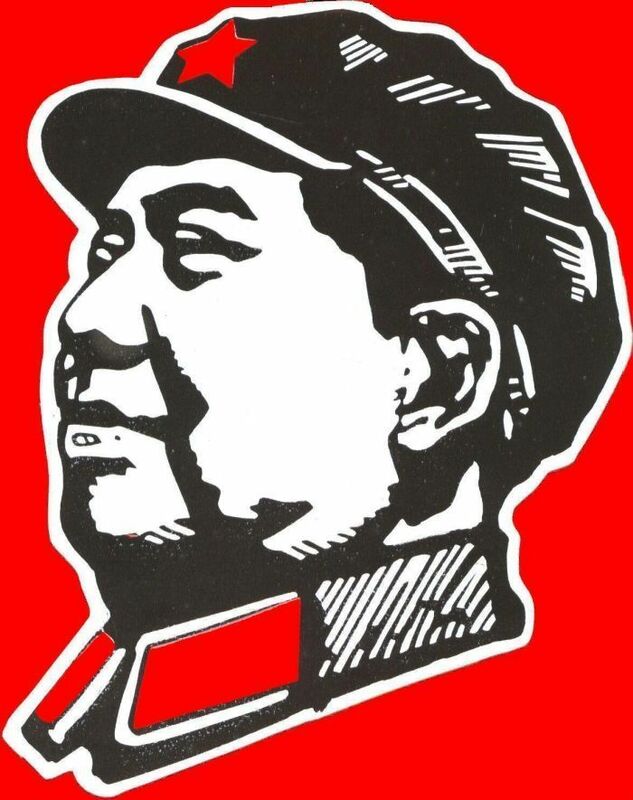 The quotation from Mao Tse-Tung reads, "Be resolute fear no sacrifice and surmount every difficultly to win victory". 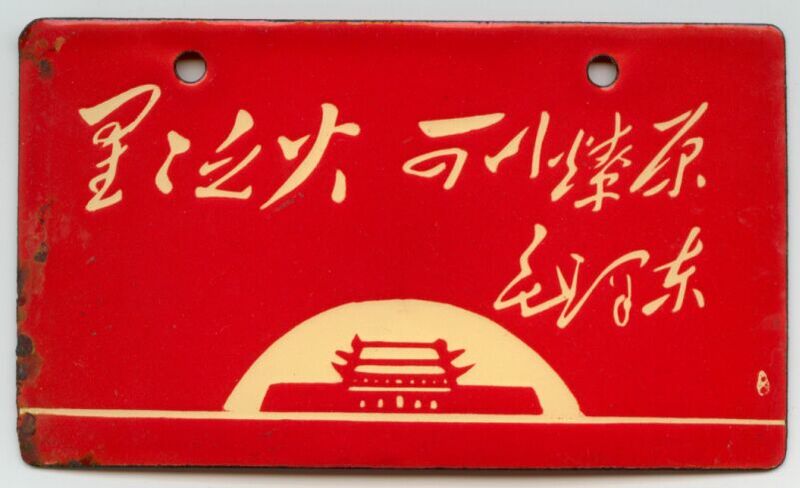 This sheet metal plate carries a scene from a Cultural Revolution era opera. 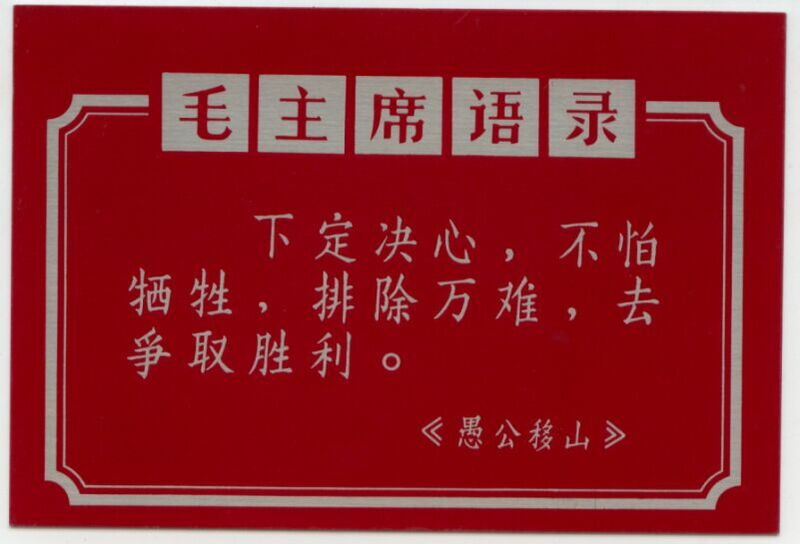 The reverse carries a tribute from Lin Biao, "Study Chairman Mao?s writings, follow his teachings and act according to his instructions."